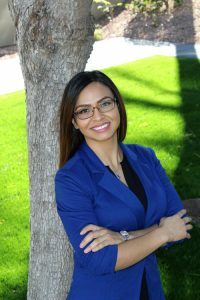 Elsa Sanchez is a dedicated and committed agent who consistently goes above and beyond for her clients. Her energy, easy-going style, and unmistakable knowledge of the area and the business make her the ideal choice for helping with all your real estate needs. She grew up in Phoenix, Arizona and has strong ties to her community. She is bilingual, being fluent in Spanish. Her husband, Edgar is the owner of House of Iron LLC, and she is a proud mother of 2 children. Elsa is very well rounded in various aspects of the real estate industry. She has a vast amount of experience that includes short sales, investors, and lease to own. She will be there from the beginning to the end of the process and will happily help you open the door to your new home.